This skin is an adaptation of the HD CHAR (Steve) skin included in my texturepack "Sphax PureBDcraft". Follow the white rabbit link which fit the resolution you want (depends on your computer specs). ErmaGerd! I thought it was gonna say, "Castor's Skin" not "Sphax Hero" I watch Aphmau so I've seen castor sometimes! Sphax PureBDcraft hero looks a lot like barry, from jetpack joyride and monster hunter. It's probs just a scam....also if you have "ranks" and you pay for them...then probs just scamming! Also fyi no advertising! 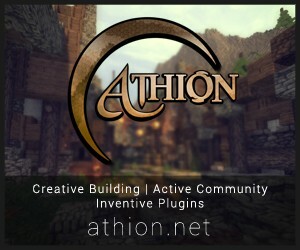 if you are going to advertise, do it on some other minecraft site. Naw, I only go on servers that don't have a owner that spams. Come and hop onto my minecraft server at *puddincraft.tk:25565*! We have Factions, McMMo, Minigames, And a very unique Hide&Seek plugin! Were still 1.5.2! feel free to browse my archive of skins so far! Thank you in advance! NEW SERVER SOULCRAFT JOIN NOW!!!! FACTIONS, MCJOB, CREATIVE, SURVIVAL, SPLEEF, COPS N ROBBENS, CAPTURE THE FLAG, 4 PVP RINGS. IP: sc-mc.mine.bz:47937. He's the creator of Sphax PureBDcraft. Hence his username. He remade the HD versions of the skin to be the default size. I want to try and replace a skinfile with a moving image... Somebody, make skins able to load gif files with a mod! in the same directory hit maps and open up you're Map's .zip file and place in the folder. Get risugami's Modloader or Minecraft Forge(don't install both at the same time) and look at the instructions for the mod you want. -7- Can I use your pack for some videos I want to share? Of course YES! I love you guys who create original content. Please, just add the full name of the texturepack ("Sphax PureBDcraft") AND a link to this website (BDcraft.net). Awesome skin and tekkit is awesome! AWESOME pack and Nice Skin!!! Love this texture pack Really livened up minecraft for me. I love this skin, it's awesome! This skin is really cool! I think you should start making HD skins! i love shpax! it's my favorite texture pack!